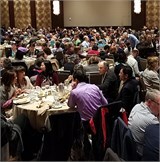 This year, AGPA celebrates 75 years at the Annual Institute and Conference — Educating and Leading for 75 Years: The Theory, Science and Practice of Group Therapy. Participants from diverse clinical disciplines had the opportunity to advance knowledge, skills, and training in group psychotherapy and related fields; Listen to development of new clinical approaches, refinement of therapeutic methods; and exchange clinical and empirical knowledge and exposure to current research and theory. Now you can hear these open sessions and learn about the latest innovative trends in group psychotherapy. Alonso Plenary Address: Humanity on the Move – Groups Too?